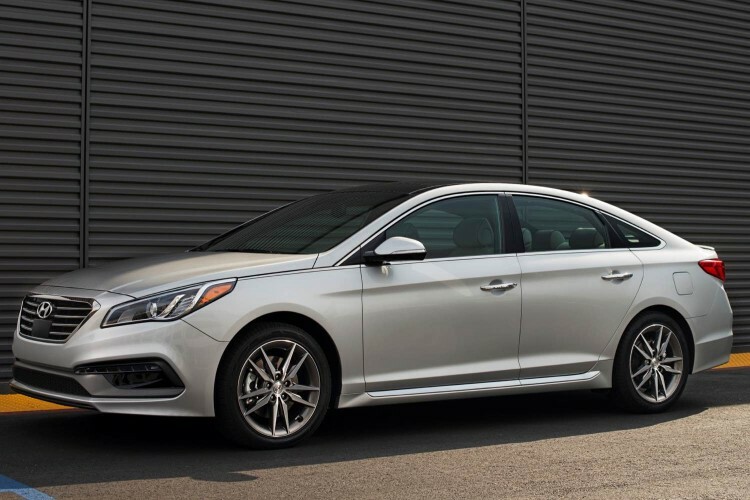 I reviewed the all-new seventh-generation 2015 Hyundai Sonata midsize sedan just a few months ago and since then the automaker sent me a Sonata Sport model for a week. I mentioned the Sport in my first piece, as I had the opportunity to test the turbo model. Trouble with this latest Sport model under review is, where’s the sport? It did seem odd that Hyundai would release more than one version of its popular sedan at launch so as not to confuse consumers (and journalists alike) but that is what has happened. The main difference in the two is that Sport models receive a more aggressive appearing front fascia along with side rocker extensions and side chrome molding. The issue I have with the new Sport line is they sent me a tester with a normally aspirated four-cylinder engine under the hood that provided very little in the “sport” department. Hyundai has released the Sport 2.0T with a turbo four that fits the bill nicely but the tester I spent a week in fell short of the marketing buildup it received. Let me say that the 185hp 2.4-liter inline four with direct injection does a good job of powering the midsize sedan that seats five, I just find it does little in providing a sporty driving experience. I feel marketing outpaced engineering in this endeavor. I would leave the base engine to a base level Sonata period and consumers will be impressed. Those expecting some sport in the Sport model they just plunked their hard-earned cash down on might be less than thrilled. To be fair, the Sport model Sonata does feature a Shiftronic six-speed automatic gearbox with manual shift mode and there is a Drive Mode Select that allows drivers to choose a “sport” mode but that is about as sporty as things get. To add to the confusion, Sport 2.0T models get unique interior styling but the base Sport differs little from Sonata models inside. 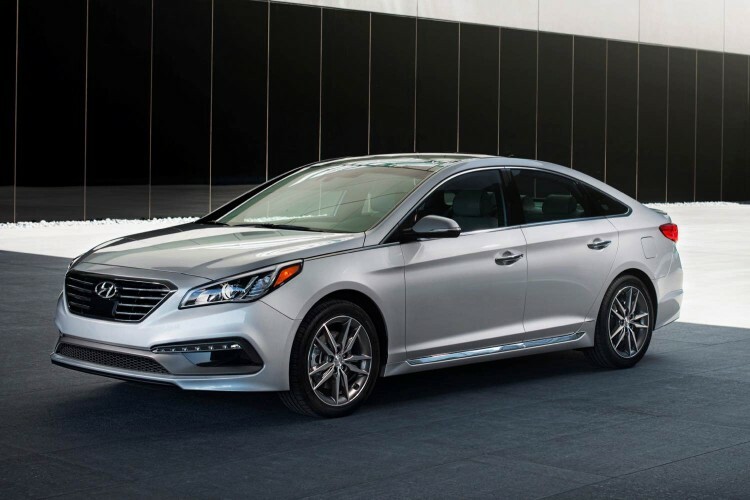 Hyundai has been garnering some honors and awards with its newest Sonata and I don’t begrudge them any of this as the 2015 Sonata is a very nice vehicle. I just have issue with the labeling in this latest test model in the press fleet. While I have not driven the Hybrid Sonata yet I would expect it to deliver a sportier driving experience than the base powertrain in this review unit. As for pricing, the 2015 Sonata Sport begins at $23,175 with this tester arriving with a final sticker of $25,810. Fuel economy is rated at 24 mpg city and 35 mpg highway. By comparison, a base SE Sonata starts at $21,150 and is EPA rated at 25 mpg city and 37 mpg highway. 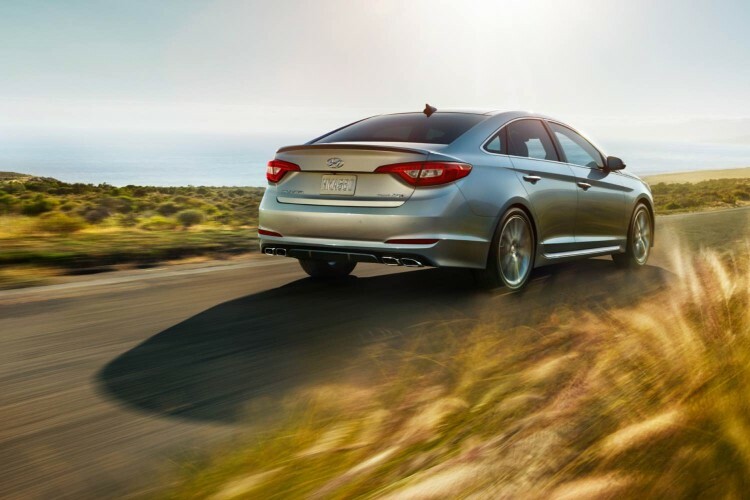 When compared to other midsize sedans powered by four-cylinder engines, the 2015 Hyundai Sonata does a very nice job and deserves to be considered by consumers when shopping this segment. But if your new Sonata Sport does not have a “2.0T” on the rear fascia, don’t expect it to deliver a very sporty driving experience.